Building an engaging online chat application will definitely boost interaction between the involved parties, be it an online store with chat app for customer support in order to improve sales and ensure customers satisfaction, or a social platform with numerous users. In addition to the realtime engagement, wouldn’t it be nice to be able to determine the attitude of users based on a particular response during a chat? 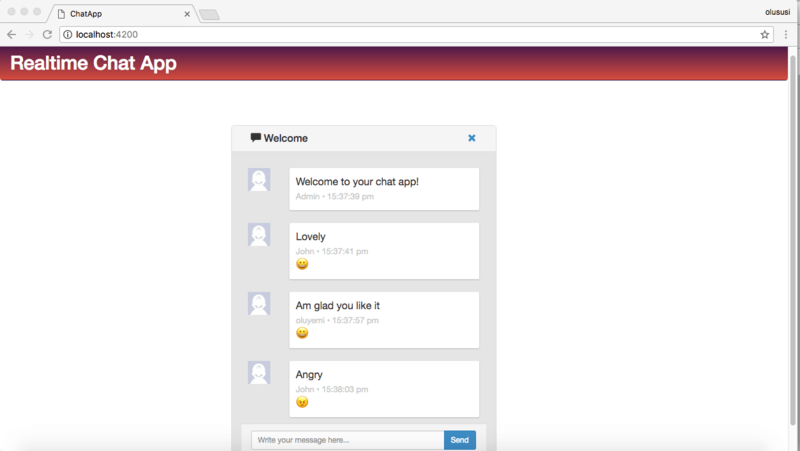 In this tutorial, we will build a chat application with sentiments. Sentiment analysis will help us to computationally identify and categorize opinions expressed in a message during a chat. Using sentiment analysis, we will then proceed to suggest emojis based on the context of the received message. This chat application will be built using Ember.js and Pusher. We will approach the project by setting up the client side first and then proceed to configure the server side of the application by using Express. 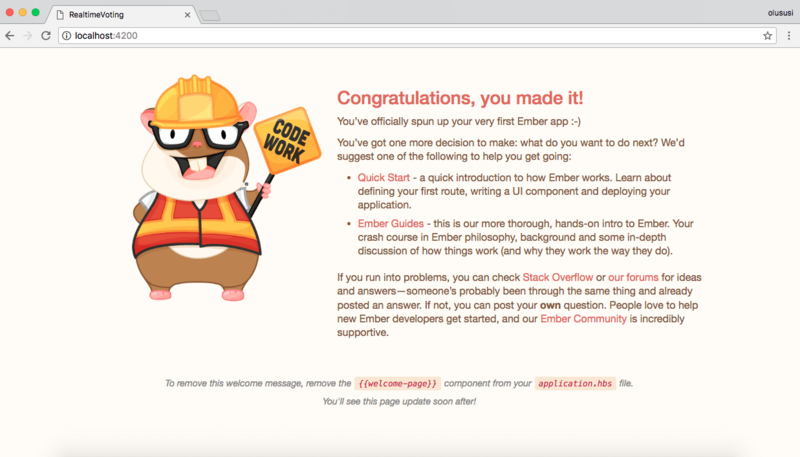 That is the default welcome page by Ember.js, we will restructure this in a bit. Our application will need and work better with a simple server that will receive and process a POST request with a new message during chat. 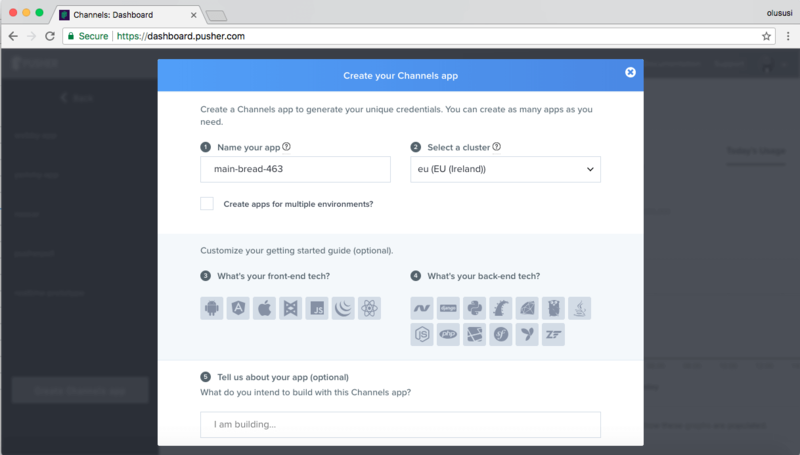 It’ll trigger an event on the Pusher channel that the client side can subscribe to. We’ll set it up by using Node and Express and run it on http://localhost:3000. 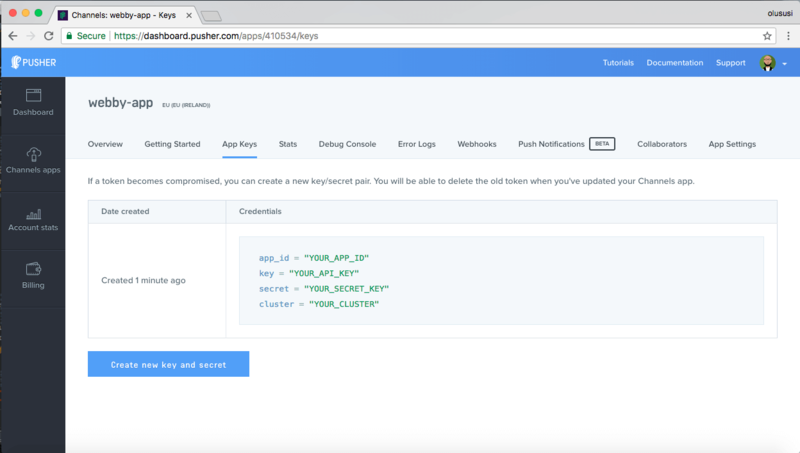 Here we loaded all the necessary middlewares for the Express server and then configured Pusher using the credentials we added to our environment variables earlier. Furthermore, we also created /messages endpoint that will receive and process messages sent in from our Ember app. 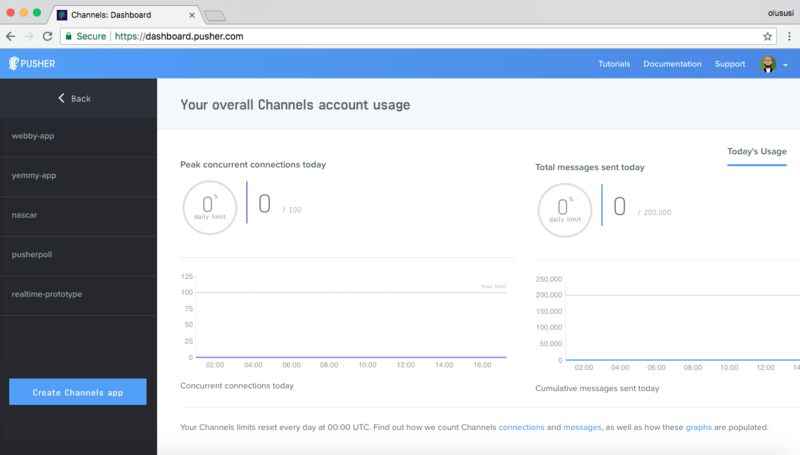 Finally, we triggered an event named message to Pusher Channels on a channel called chat. Now that we are done setting up the server, it’s time to switch our focus to the client. Next, we’ll create components and services required for our application. Our application will require a username so that we can identify the chatting individuals. 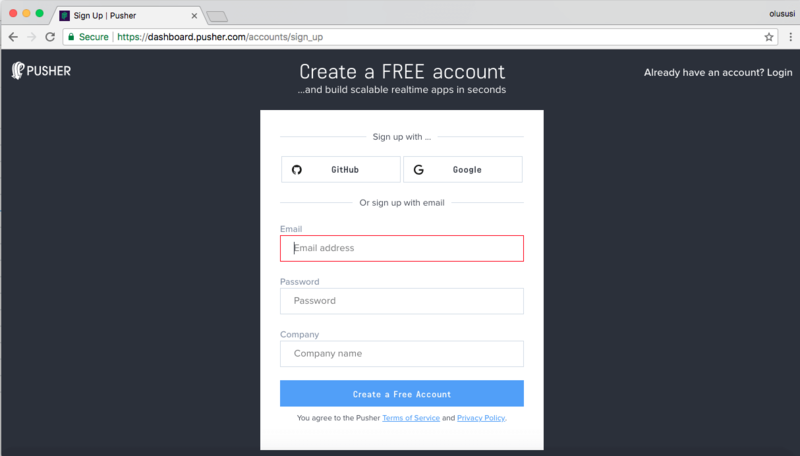 In order to keep things simple, we won’t setup a registration and login process but rather use Ember service to store data that components within our application needs to access. We are going to create a service that will be responsible for storing the name of the active user. Once created, the service can be accessed by injecting it into the UI components as we’ll see later. We created a property user and provided a method for setting the user. The second method hasUser will return true if we have an active user so that we can decide if a user is logged in or not. Here we injected the active-user service into the chat-app component by using the inject function from the @ember/service module. We then created a computed property which will be set to true or false if a username for a user is set. In the code snippet above, we defined two computed properties; timestamp and text. The timestamp property uses the strftime library to format time while we used the he library to decode our HTML from the server. First, we imported the required module for this component and we added some constants of code points for a particular sentiment emoji. This will help us rendered an emoji corresponding to the mood of the user during the chat as analyzed by the sentiment module. In addition, we injected the active-user service and set a default chat message for every user to see before starting a chat. Finally, the newMessage() action basically receives the message posted by a user and POST it to the server alongside the username and timestamp. This action will be triggered once the Send button in the template for this component is clicked. The responsibility of this template is to loop over each message and render a chat-message component. In this tutorial, we have been able to build a basic chat application with sentiment. Sentiment analysis was used here to detect the mood of users during a chat. This tutorial can be improved on by adding extra features to make it go beyond just a basic chat application. I hope you found this helpful. The source code can be found here on GitHub.